Obituary for Betty J. (Butterfield) Grace | Loftus-McManus Funeral Homes Inc.
Mrs. Betty J. 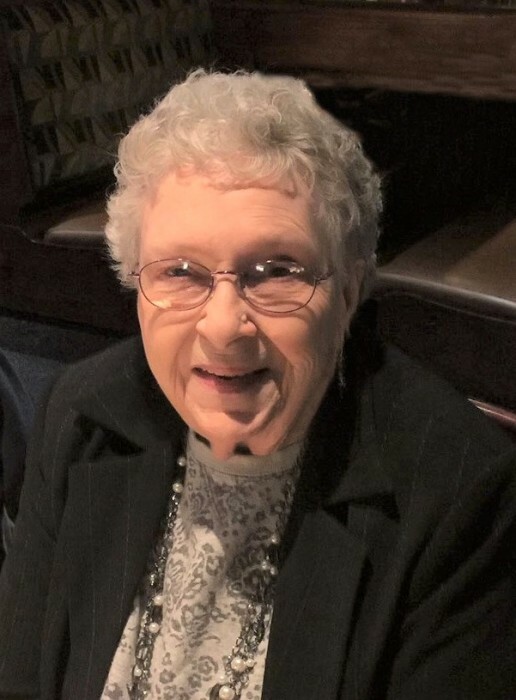 Grace, age 82, of Paducah, KY, died at 2:36 pm on Sunday, September 9, 2018 at the Ray and Kay Eckstein Hospice Care Center in Paducah, KY.
Funeral services will be held at 1 pm on Wednesday, September 12, 2018 at the Aikins-Farmer-Loftus-McManus Funeral Home in Metropolis, IL with Rev. Terry Mitcheson and Penny Emery officiating. Burial will follow in Metropolis Memorial Gardens. Mrs. Grace was a member of the Ohio Valley Baptist Church in Ledbetter, KY.
Betty is survived by three daughters, Janet K. Mitchell of Paducah, Kathy A. Bishop and husband Terry of Paducah, and Lisa G. Cunningham and husband Billy of Ledbetter; one son, Donald G. Grace Jr. of Bandana, KY; eight grandchildren, Julie A. Armon and husband Shane, Jamie L. Welch, Zach L. Bishop and wife Ali, Mindy L. Wilham, Billy Joe Cunningham II, Sara E. Eickleberry, Natalie M. Cunningham, and Jordan D. Grace; five great grandchildren, Cody Armon and wife Maggie, Alex Wilham, Grayson Wilham, Katie Bishop and Emery Bishop; two great-great grandchildren, Jack Armon and Colt Armon; several nieces and nephews. She was preceded in death by her parents, William Butterfield and Cynthia (Leek) Loughary; husband, Donald G. Grace Sr.; son-in-law, Dale Mitchell; seven sisters, Dorothy Parker, Gladys Dailey, Jan Schafer, Georgia Emery, Mary Eaves, Jackie Travis, and Dixie Dimple Brinker; three brothers, Eugene, William and Mack Butterfield. Visitation will be held from 11 am until the funeral at 1 pm on Wednesday, September 12th at the Aikins-Farmer-Loftus-McManus Funeral Home.